Apparently, asking the question “Why?” pokes at the defensive reflex in most people. I wonder why… Oh. The first week of Codaisseur Design Academy passed by as quickly as it came. All in the space of that first week, my peers and I were taken through an entire design process from conception to execution. …Alright, I still don’t get why Post-it Notes are so amazing though. We’ll get to that, but first let me answer you with an interesting story. 3M (formerly the Minnesota Mining and Manufacturing Company) are credited (back in 1925) for the creation of household products such as “Masking Tape” and cellophane “Scotch Tape”! Things I use damn near every single day. In 1968, A man named Dr. Spencer Silver, a Senior Chemist at 3M’s Central Research Labs, attempted to revolutionise the industry by developing a super-strong adhesive. He failed. Totally. But that’s besides the point. Instead, he accidentally created the designers dream. A “low-tack,” reusable, pressure-sensitive adhesive. It wasn’t until 1974 that a colleague of Silver’s, Art Fry, bootlegged the idea and devised a use for it. That use would eventually evolve into the common household Post-It Note we all know and love. 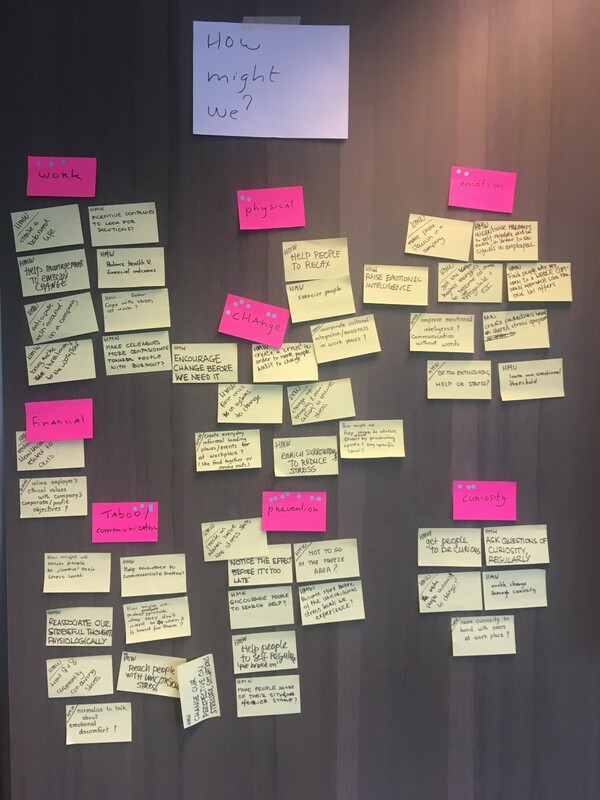 The Design Sprint v2.0 process we were being initiated in was to blame for our heavy usage of Post-it Notes this week. From Research to Usability Testing in 4 days. Straight into the deep end. The four-day process actually took us five. We spent three quarters of our first day (from here-on called Day 0) soaking in everything Google could offer us on the struggle we were tasked to solve. The first step is Research, and everything else builds on top of that. Our true Day 1 came after gathering, visualising and presenting that research. To expand our knowledge outside of the all-knowingness of Google, our job became to actually talk to real humans. But not just anyone, humans who knew vastly more about the subject than us: Experts. Experts may know far more than you and I, but people who are actually experiencing the struggle you’re trying to solve know the most. So listen to them too. That morning, we prepared our questions while looking into the backgrounds of the Experts we’d invited. The expert interviews totalled at just over 1.5 hours in conference calls. But for me, the most amazing part of those hours was what we’d been told to think about beforehand. How Might We … (do something) ? What was amazing is that it wasn’t even an answer to the question we were told to keep in mind. It was the question itself. How Might We… help each other to communicate better? How Might We… change our perspective on stressful situations? How Might We… normalise talking about emotional discomfort in the workplace? These were prompts. Designed to encourage thought and get us thinking about solutions- not yet, but soon, solving them. Every Yellow Post-it Note was yet another opportunity to solve a struggle. After the interviews, we clustered them into groups. This defined our opportunities visually, in a broader sense. (Curious about the exact details of the project? I’ll link back to the case study here once it’s completed!). No one feels confronted by a Post-It Note. It feels so easy, that there’s no Blank Page Syndrome. Everyone can fill one. Limited size, limited space and a thick black marker. All of these things mean we have to choose our words well- and sparingly. Limited space means you must commit to what you’ve put on the Post-It. But the fact that it’s a Post-It means it took you about 30 seconds to fill it, so you could just as well scrap it and fill another. After building this wall of opportunities, our next step was to take what we’ve learned and give ourselves a direction. Step 2: Figure out where the hell you’re going, what direction to take and who’s coming with you. We’d spent barely a day and a half learning all we could about the subject by this point, but I couldn’t stop myself from thinking about it. All of the questions, previous conversations and statistics I’d read online would run through my mind while I took a shower in the morning. So now it was time to give the creativity and information floating in limbo… some direction. To know where to focus, we need to figure out where we’re going. This is where the whiteboard comes in. 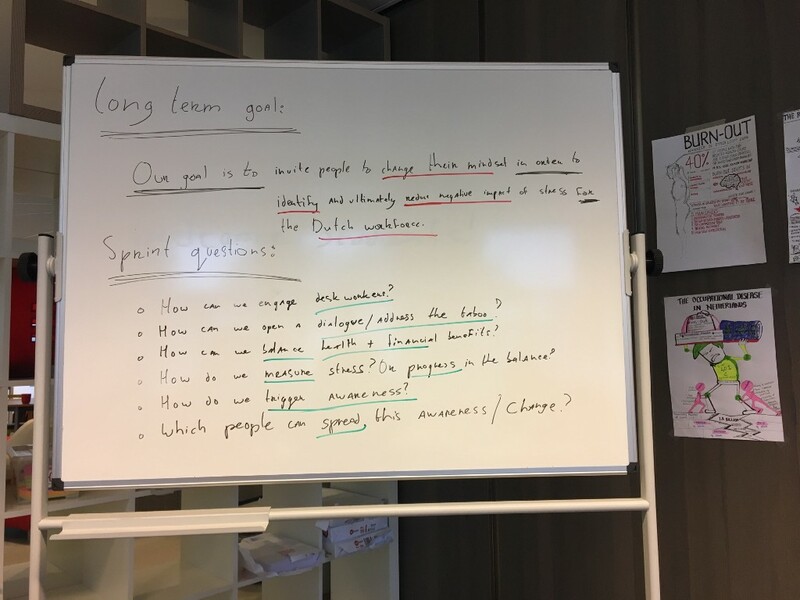 The whiteboard… and more questions. I’m Eli Hughes, an Illustrator and UX Designer living in Amsterdam. I love stories and I love people. I spend a bunch of my time thinking about what people do and why people do it. Follow me to hear about the next article on my experience in the Codaisseur Design Academy Next Monday. 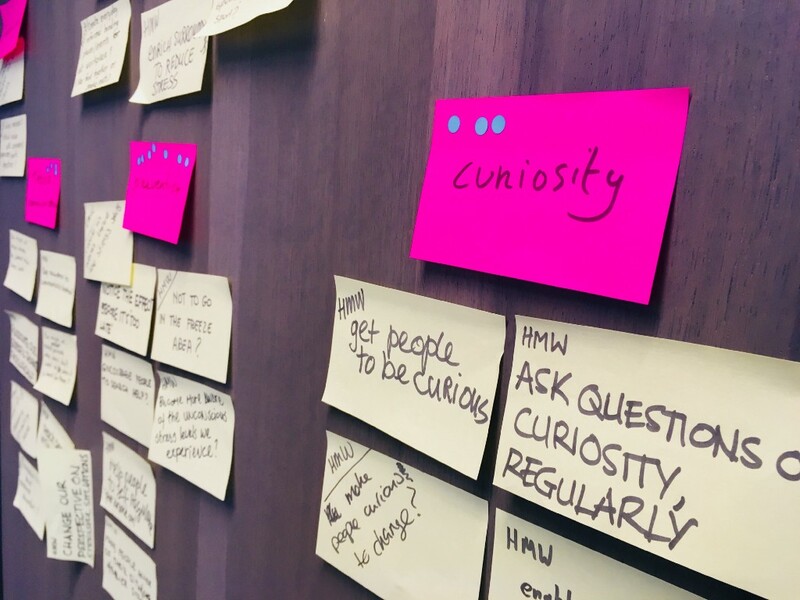 How to use Post-it Notes, Part 1 was originally published in Codaisseur Academy on Medium, where people are continuing the conversation by highlighting and responding to this story.